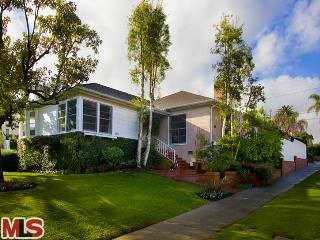 The Westwood traditional at 2325 Kerwood Ave., LA CA 90064 lasted a brief 8 days on the market, accepting an offer on 1/29/2010. Listed on 1/21/10 for $1,050,000, the house immediately received alot of attention because of sparse inventory at that price level for a house of its size and condition. According to the MLS, the home is a 3 bedroom / 2 bath, 1,742 sq ft of living space on a 6,500 sq ft corner lot. The home closed on 2/25/10 for $50 grand over its asking price at $1,100,000.